Hellsing Ultimate joins Toonami on September 13 as a replacement for Black Lagoon (and Naruto, since each episode is an hour long)! 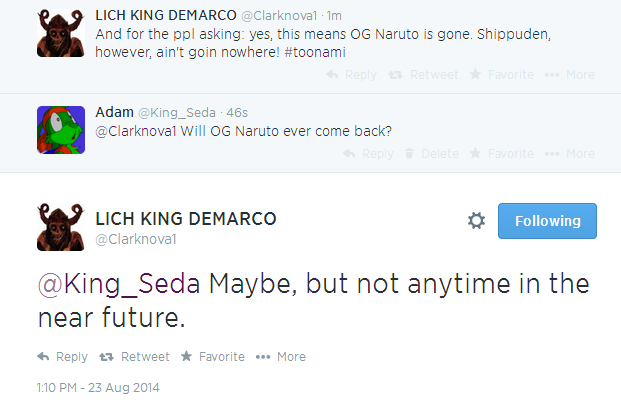 UPDATE: According to JDM, Naruto is indeed gone. Probably permanently.